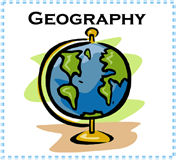 At All Saints, Geography is taught through termly themes and we work on a two year rolling programme to ensure coverage within each phase of the school. In EYFS, pupils are given opportunities within the Early Learning Goals ‘Knowledge and Understanding of the World’ to find out more about the world in which they live and the people they encounter. The children take part in first-hand experiences, including the chance to explore the local environment, gather information, and communicate their views. In KS1, the children are taught Geography discretely within their theme topic. The pupils investigate their local area and also begin to learn about the wider world. They carry out geographical enquiry inside and outside the classroom. In doing this, they ask geographical questions about people, places and environments, and use geographical skills and resources, such as maps and photographs. In KS2, once again the children are taught Geography discretely within their theme topic. They will continue to build on the skills taught in KS1 and start to make links between different places in the world. They will also find out how people affect the environment and how they are affected by it. Children will develop geographical enquiry skills, including asking geographical questions, collecting and recording information and identifying different views, They will acquire the appropriate practical skills associated with Geography, including using suitable vocabulary, fieldwork techniques and maps, plans and atlases. Pupils will use secondary sources of information with accuracy, including aerial photographs, satellite images, etc. The engagement in challenge during each Geography lesson to make sure that children’s learning are being extended. Geography lessons will help provide more opportunities for extended writing - allowing children to practise their writing for different genres and audiences. The provision of geographical books and resources to engage children in new topics. The provision of an afterschool Geography club in Term 2 for pupils from Key Stage 2. School council members are involved in a Clean Air Monitoring project this year in liaison with Medway Council. It involves monthly monitoring of air in two different locations within the school grounds. The pollution levels will be recorded and sent off to a laboratory and compared to other parts of Medway. Every Geography lesson taught within school will contain a challenge for the children to complete when they have finished their main learning. This challenge will be visible for the pupils and communicated with the children by the class teacher. Holiday homework will include activities which link to the local area and encourage engagement with the local area and the world beyond. Although not statutory, the children will be encouraged to engage with this challenge to develop their knowledge of the local area and its role within history. Curriculum challenges (completed as extra work during term time), based on cross curricular theme work, do some terms focus on a geographical theme. How can you support your children in Geography? Watch current affairs programmes such as Newsround which will when in the news cover natural disasters. A holiday can also turn into a learning experience for children – talk about sand dunes, the coastline, weather, shells, how fossils are formed. If your child is older then they could keep a journal of their holidays or conduct their own experiments.